ContractorBondQuote.com is now licensed in the State of Oregon and we are offering contractors access to Oregon’s top bonding companies at the most competitive rates. We have leveraged our existing relationships with several of the nations leading bond carriers in order to provide a one stop shop for your contractor bonding needs. A short list of the carriers we have available are Wesco Insurance Company, America Contractors Insurance Company, Suretec Insurance Company, Western Heritage Insurance Company and several others. 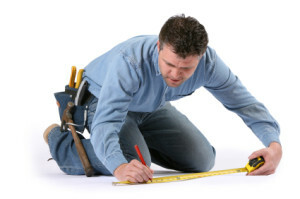 Do you have a upcoming contractor bond renewal? If so, contact us today for a no-obligation quote. We guarantee the lowest rated in the industry. We have noticed some carriers have increased their rates over 2013. If you’ve notice your bond renewal has increased from last year, now is a perfect time to shop and make sure you are getting the lowest possible rate! Our team of surety bond specialistss are able to answer any questions you may have and offer a solution that fits your needs and most importantly your BUDGET. We offer low down payment options with monthly installments, which allows our contractors to free up cash flow. How do you know if the renewal quote your current company is offering Oregon contractors bonds at the best available rate? You DON’T, unless you have a surety bond specialist who is able to shop several markets on your behalf and present you the most competitive option. Are you currently with a company that is only able to provide a quote from 1 carrier? If so, there is a good chance you are leaving money on the table. Give us a call to find out how much! ContractorBondQuote.com is Oregon’s Premier Contractor Bonding Agency. We take pride in providing industry leading customer serice and we have a genuine interest in our clients success because without you we would not exist! Give us a call if would like a free review of your upcoming bond renewal at: 1-800-409-7944. We are here to help with any of your bonding and insurance needs!